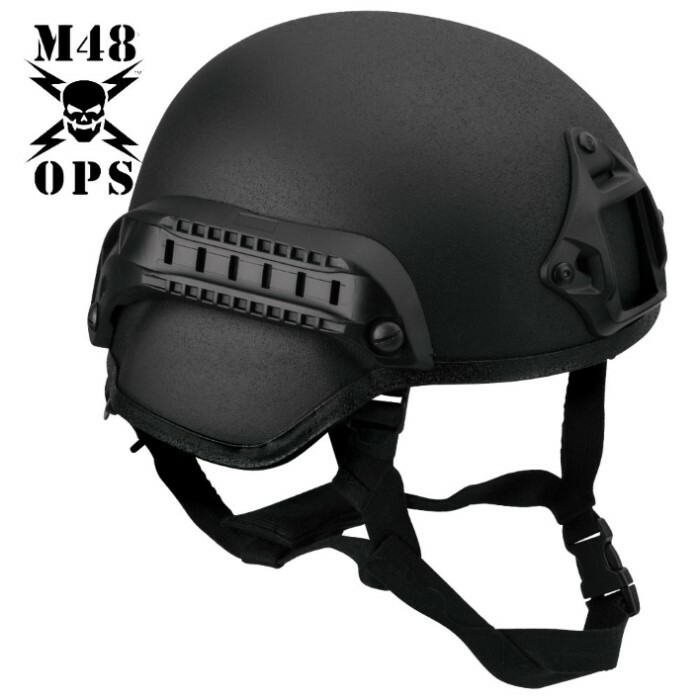 M48 OPS Tactical Base Jump Helmet Black | BUDK.com - Knives & Swords At The Lowest Prices! Brand new from M48 OPS, this black Base Jump Helmet is great for airsoft, paintball and so much more! 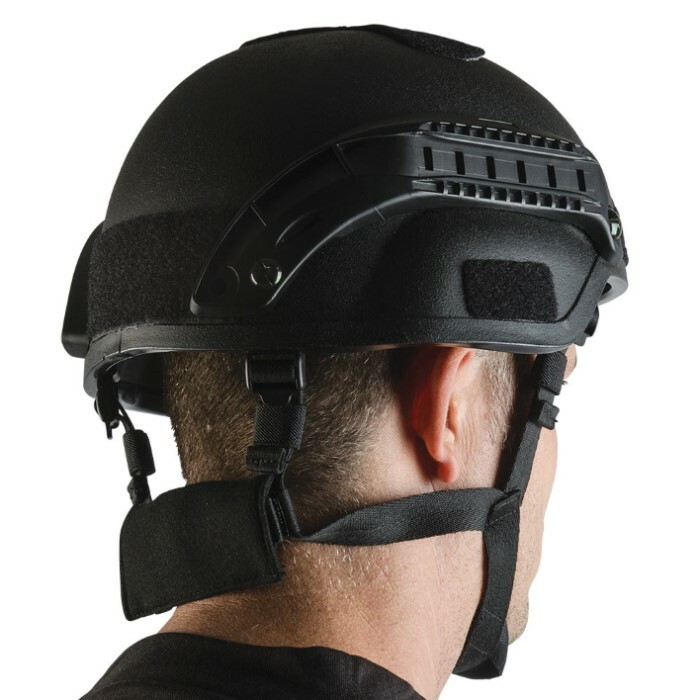 Constructed of ABS for maximum protection, comfort and maneuverability, this helmet even exceeds military specifications. This helmet features seven removable and adjustable cushioned pads for comfort. This is the helmet you've been looking for! Alright, I'm not going to lie; I have literally been eye screwing this helmet for some time, because I love M48 gear. This thing is in so much better quality that I had imagined. It is thick, durable, lightweight, easy to adjust, and the padding on the inside is very comfortable and thick cushioned. 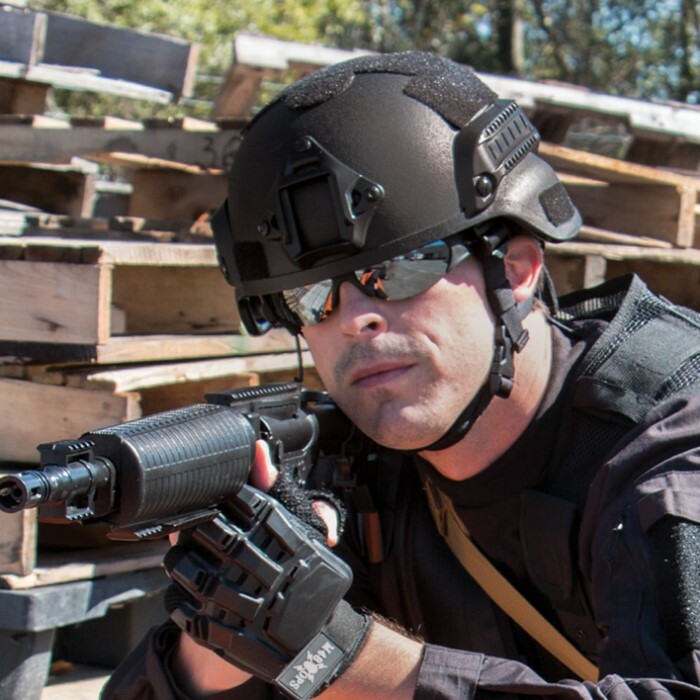 I have been looking for a tactical helmet, or "bump" helmet for awhile and this does the job very well. I looked at similar helmets like this one, and I haven't found a comparison on value. The plastic helmets might be cheaper, but you get so much better quality for the money spent. Go with the M48 ABS material. Totally worth it.